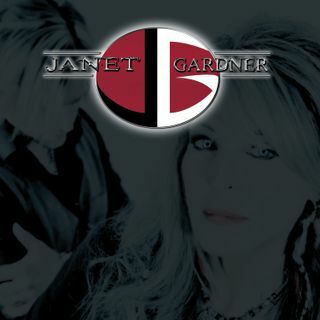 As the lead vocalist of the legendary female rock band Vixen, Janet Gardner's powerful vocals propelled Vixen to the top of the Billboard charts with crossover hits "Edge of a Broken Heart" and "Cryin’'" and AOR rockers "How Much Love" and "Love is a Killer." Vixen toured extensively, grinding out 200 shows per year, opening for the likes of Deep Purple, Ozzy Osbourne, The Scorpions, Kiss, and Bon Jovi. In an era primarily dominated by male ... Más informaciones rock musicians, Vixen's all-female line up didn't come without its struggles. But their undeniable musicianship, matched with Gardner's unique and powerful vocal style, propelled the band quickly to Gold Album status and earned the band critically acclaimed success that is still celebrated to this day on the likes of Sirius XM, MTV/VH-1 Classic, and nationally syndicated specialty radio shows. Vixen, along with their predecessors, helped pave the way for the current wave and success of female-fronted acts such as Halestorm, In This Moment, The Pretty Reckless, and many others. Teaming up with guitarist/songwriter/producer Justin James (who has worked with members of Staind, Collective Soul, and Tyketto), Gardner ventured into the solo realm to unleash a new side of her musical creativity. Together, Janet and Justin have penned a collection of emotionally charged songs with gritty grooves, infectious hooks, and inspired lyrics that merge hard rock influences from the last four decades. The result is a perfect blend of modern hard rock with a touch of old school flare that will turn the heads of generations of rock fans. A sample teaser was put up on YouTube and literally exploded overnight. The power duo was quickly snatched up by Pavement Entertainment with a full-length release coming on August 18, 2017.